U.S. Senator Martin Heinrich, D-N.M., sent a letter Wednesday to President Donald Trump raising concerns about potential cuts to airport security and Federal Law Enforcement Training Centers, particularly the FLETC in Artesia. The Trump Administration is considering cuts to Transportation Security Administration (TSA) programs such as the “armed pilot” program based at FLETC-Artesia in order to fund its proposed border wall. According to recent reports, a draft proposal, drawn up by the Office of Management and Budget would eliminate the FLETC Federal Flight Deck Officer training program and Visible Intermodal Prevention and Response (VIPR) teams, as well as cut grant funding for area law enforcement. While Trump’s proposal would cut funding to the Coast Guard, FEMA and other TSA projects, the Federal Flight Deck Officer program based in Artesia would be eliminated entirely. That program was established in the wake of the Sept. 11 attacks to prepare pilots and flight crews for similar circumstances on aircraft. Under this program, hundreds of commercial pilots volunteer their time to be part of the nation’s first line of defense against terrorist acts. 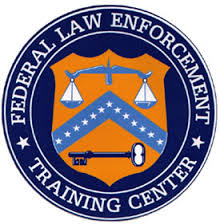 The FLETC estimates approximately 800 pilots and flight crewmembers participate in this training program each year. In addition to the impacts on national security, eliminating the program would mean an estimated $20 million cut to funding for FLETC-Artesia, a significant hit to both the local and state economy. The proposed plan would also eliminate the TSA’s Visible Intermodal Prevention and Response (VIPR) teams. TSA works with intelligence and law enforcement agencies to deploy VIPR teams based on threat levels and other security priorities. These teams consist of law enforcement officials, regulatory inspectors, explosives specialists, and, in some cases, screening personnel. Heinrich led an effort last year to expand the number of VIPR teams across the nation from 31 to as many as 60. In August at the Albuquerque International Sunport, he stressed the importance of VIPR teams that enhance the security presence in pre-screening airport areas and other transportation facilities, especially in non-secure, “soft” target areas at airports like check-in and baggage claim. A copy of Heinrich’s letter to the president is included below. I write to express my serious concerns regarding any consideration to eliminate critical Transportation Security Administration (TSA) programs that safeguard Americans while traveling. According to recent reports, a draft proposal, drawn up by the Office of Management and Budget (OMB), would eliminate the Federal Flight Deck Officer (FFDO) training program, the Visible Intermodal Prevention and Response (VIPR) teams, and cut essential grant funding for local law enforcement. In the face of international terrorism, it is critical that we make every effort to secure passenger aircraft, airports, train stations, and bus depots. The Federal Law Enforcement Training Center (FLETC) in Artesia, New Mexico serves as the leading training site for the brave men and women who are our nation’s front line of defense against dangerous threats and terrorism. Over 500 dedicated FLETC staff in Artesia work hard every day to make sure that law enforcement agents from across the United States get the best quality training. Since 2003, Artesia has been home to the Federal Flight Deck Officer program. This program was established in the wake of the September 11th attacks to prepare pilots and flight crews for similar attacks on aircraft. Under this program, hundreds of commercial pilots volunteer their time to become part of the nation’s first line of defense against terrorist acts. Our dedicated FLETC staff in Artesia work hard to make sure that pilots from across the United States get the best quality training and are well-equipped to respond to threats. Furthermore, TSA works with our intelligence and law enforcement agencies to deploy VIPR teams, based on threat levels and other security priorities, which consist of law enforcement officials, regulatory inspectors, explosives specialists, and in some cases, screening personnel. TSA’s VIPR teams provide a full range of law enforcement and transportation security capabilities. Last year I led a group of senators in securing final passage of a provision to expand the number of VIPR teams from the current 31 to as many as 60, and to enhance the security presence in pre-screening airport areas and other transportation facilities, especially in non-secure “soft” target areas at airports like check-in and baggage claim areas. I strongly urge you to reconsider any cuts to the Federal Flight Deck Officer Program, VIPR program, and local law enforcement grants. While we relentlessly target terrorists overseas, it’s critical that we maintain these additional safeguards. By retaining these safety programs, we will intelligently respond to threats.